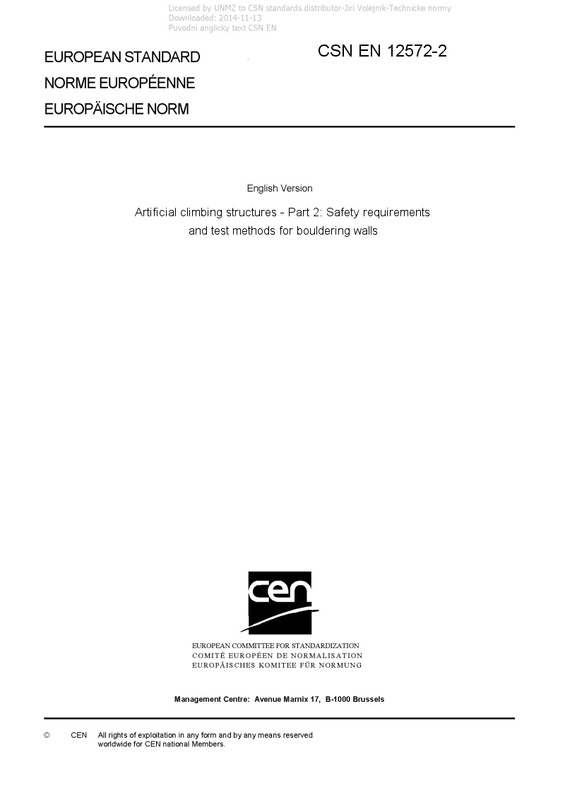 EN 12572-2 Artificial climbing structures - Part 2: Safety requirements and test methods for bouldering walls - This European Standard specifies the safety requirements and calculation methods for bouldering walls, including the safety zone. This European Standard is applicable when the bouldering is in normal use. This European Standard is not applicable to ice climbing, dry tooling, playground equipment and deep water soloing.